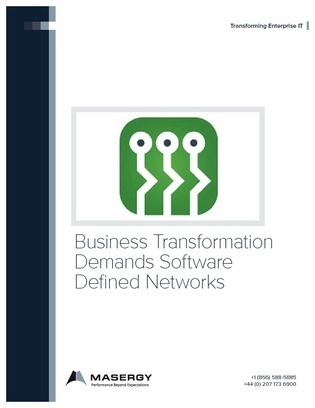 Many enterprises are still learning how Software Defined Networking (SDN) and Network Function Virtualization (NFV) can bring about business transformation as well as IT efficiencies. Over half of those surveyed indicated their IT departments are starting to work on SDN strategy and technology evaluations or are in the early planning and analysis phase. As the business landscape transforms, you will need to understand how these emerging technologies will meet business needs. Access this white paper to discover 5 key business and technology challenges that are being met by SDN and NFV.